Reality is boring! 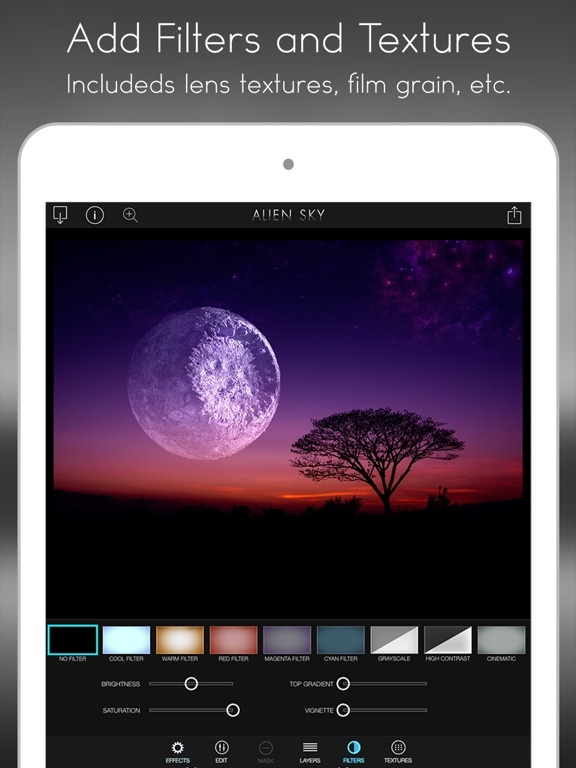 Create fantastic and futuristic visions with Alien Sky. 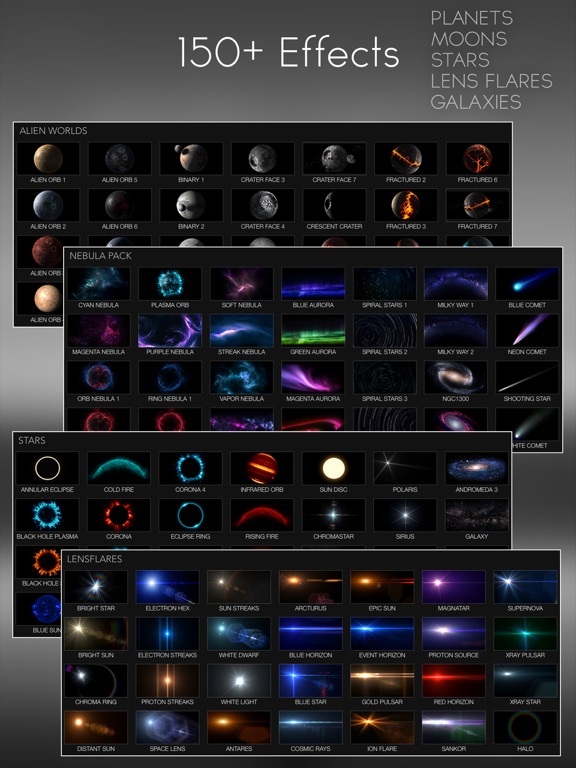 With Alien Sky, you can customize your sky with an amazing collection of high resolution space objects. 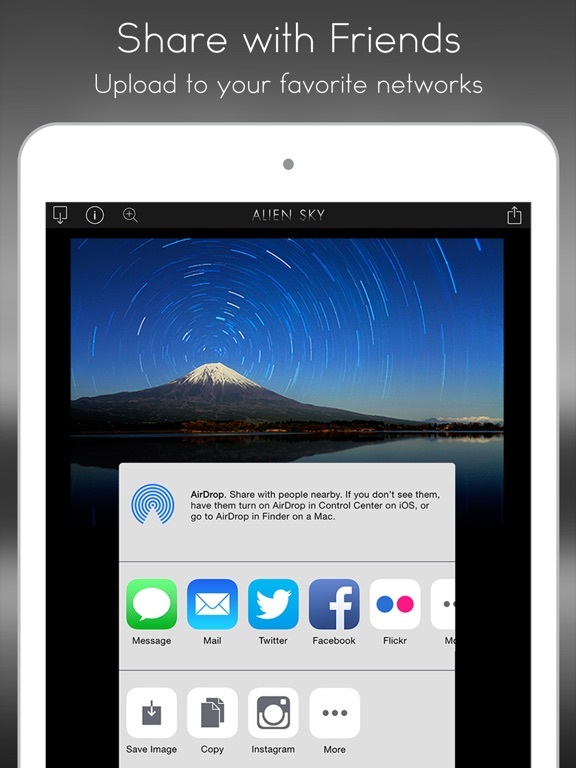 Alien Sky also includes a set of futuristic lens flares optimized for your space explorations. 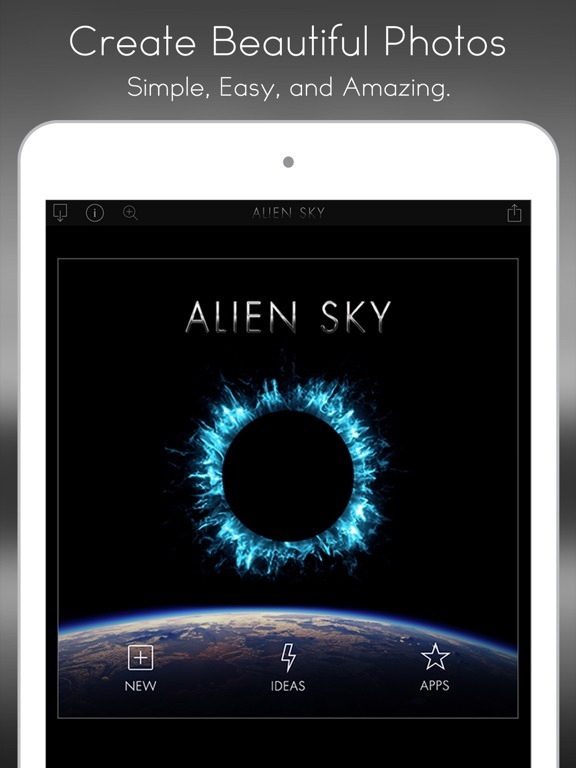 Alien Sky gives you complete control over sky customization, allowing you create fantastic visions and otherworldly photos. 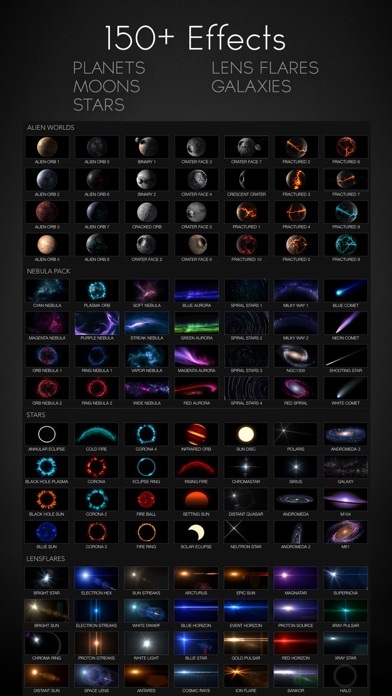 Why settle for a boring sky? There is simply nothing else like this in the app store. 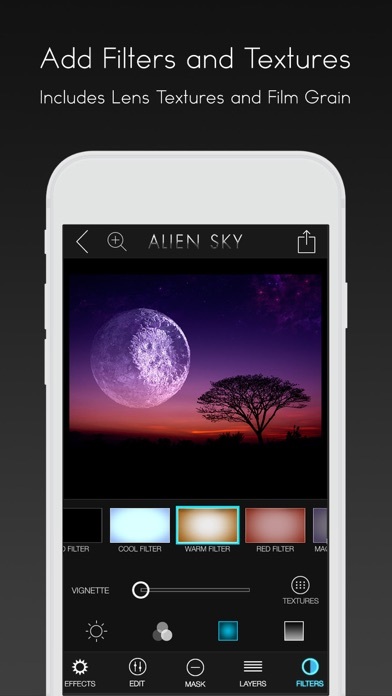 "Amazing app for creating cosmic creations and stellar sky scenes." 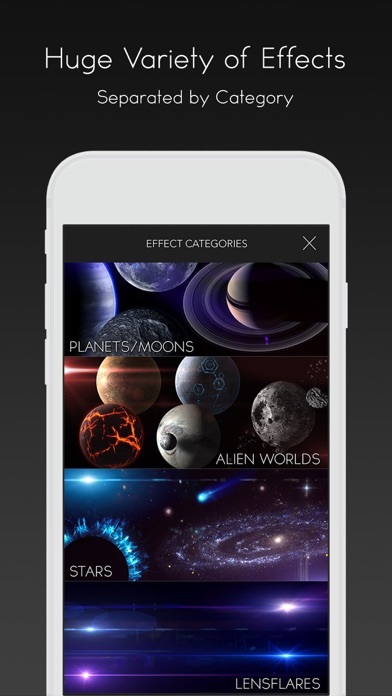 "Fantastic app, create epic space images, just brilliant!" 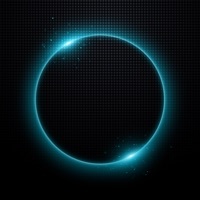 "This is an amazing photography app! There isn't another one in its class when it comes to photo FX!!! 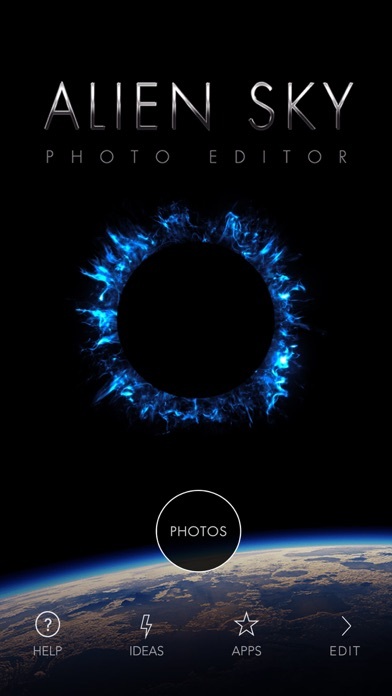 It allows you to take your images and give them a true SciFi feel. I love it and use it often!!!!" 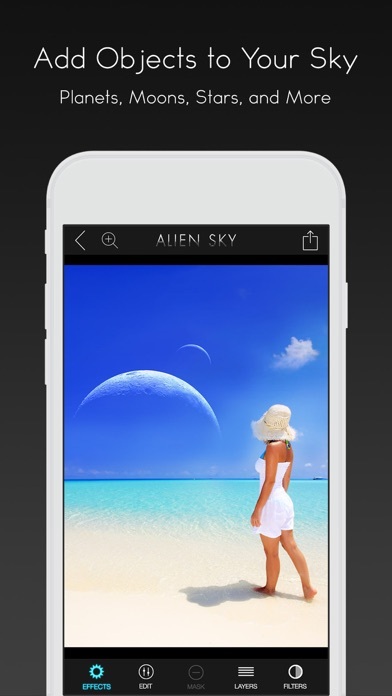 Turn your everday photos into fantastic visions with Alien Sky. New Spectral Orbs, Moons, and Suns! Updated for new iPad Pros. We'd love to hear from you so leaving a review would be very helpful!